Just over a mile off the shore of North Berwick lies one of the most impressive islands in the Forth Estuary – the mighty Bass Rock. 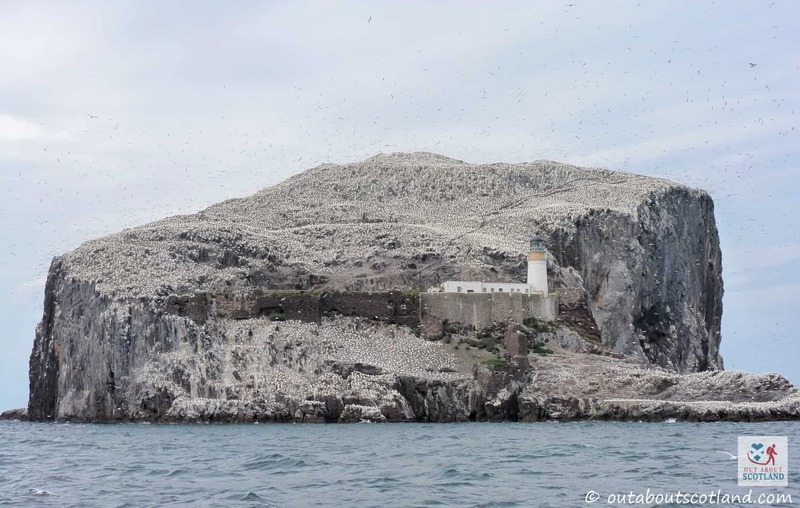 This rock outcrop is home to the largest northern gannet colony in the world and bird watchers from across the planet come here to take boat trips around the island to watch thousands of swarming birds nest and hunt for food. 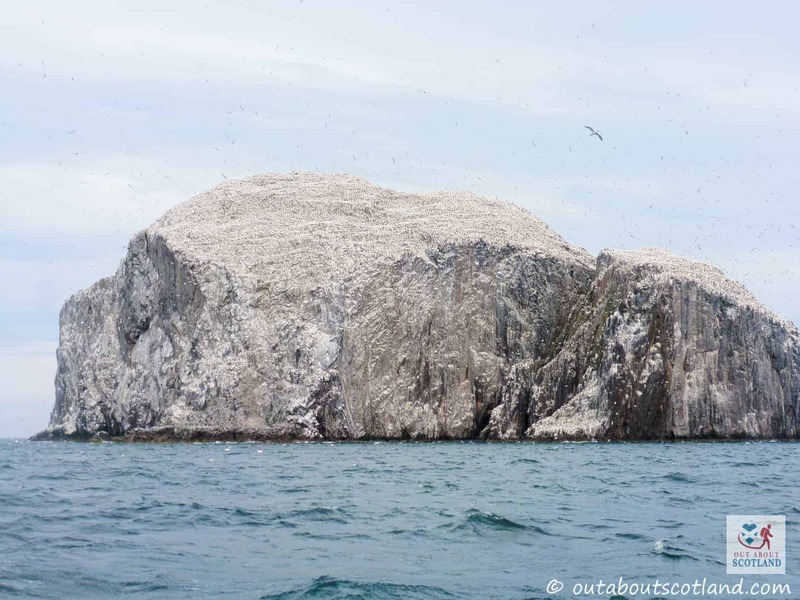 The rock is absolutely enormous and reaches 107 metres above sea level at its highest point, with most of the sides of this 320 million-year-old volcanic plug standing almost vertical above the pounding waves of the Firth of Forth. 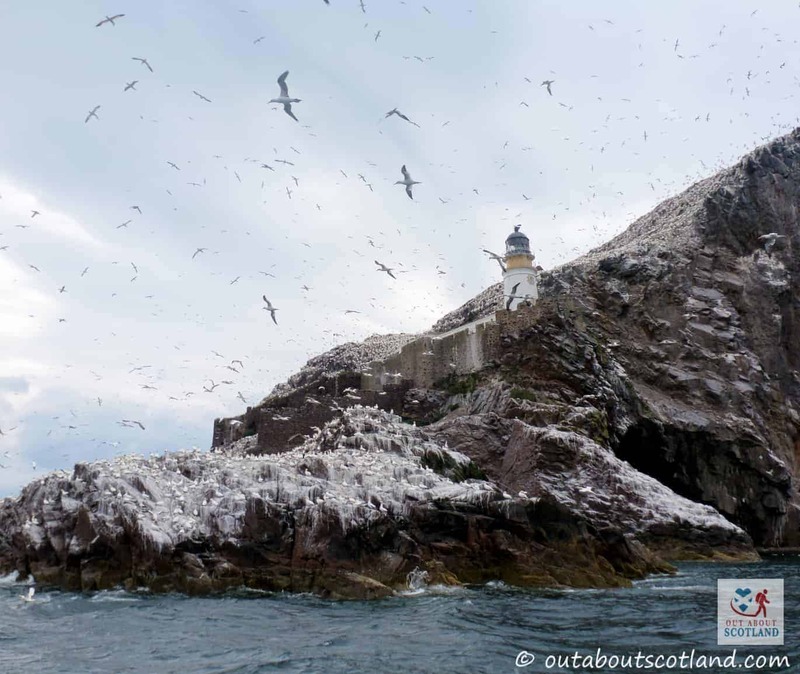 The gannets put on a fantastic show for visitors and it’s quite a spectacle to see them filling the sky overhead, and with the Bass Rock as a background it has to be one of the best photo opportunities in Scotland. 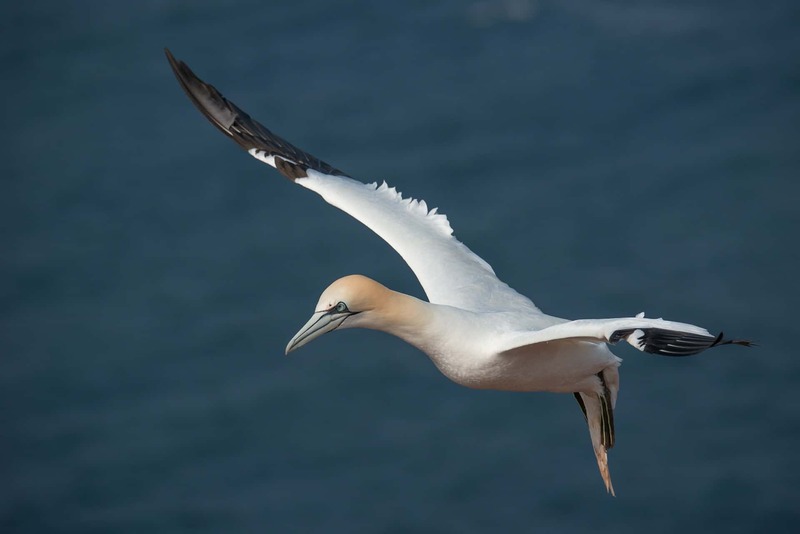 More than 150,000 gannets nest on the Bass Rock at the peak of the season but these numbers gradually reduce towards the end of October when they set off on their long journey south, with many travelling as far as the west coast of Africa. 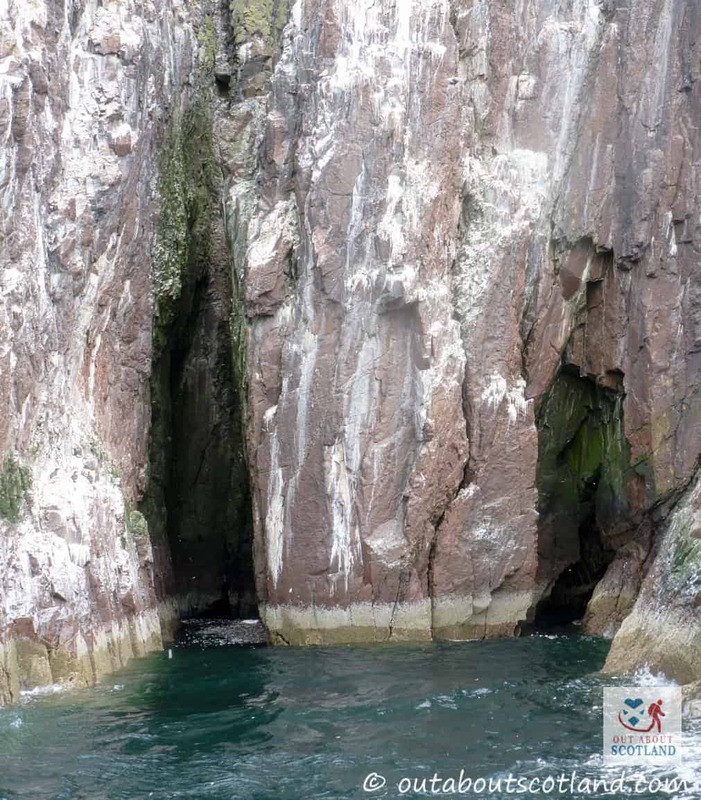 Nature-lovers have plenty to watch without the gannet’s presence though as the rock is also home to shags, guillemots, razorbills and puffins, and seals can be frequently seen hauling themselves onto the rocks below. 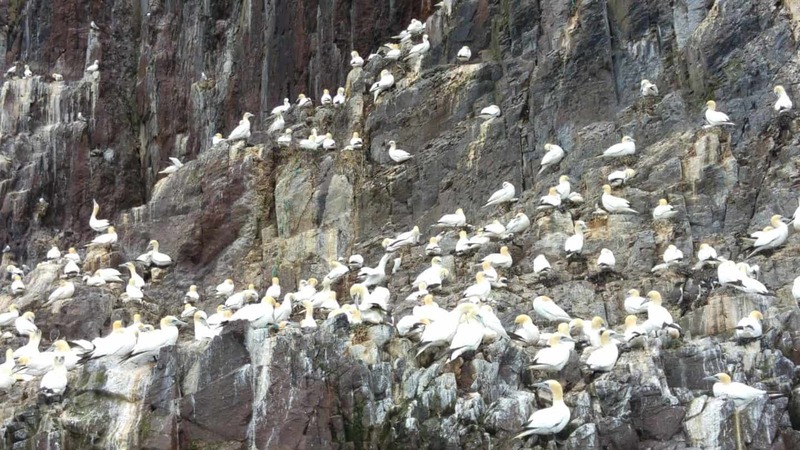 Visitors wishing to see the rock up close can book a tour on one of the boats run by the Scottish Seabird Centre in North Berwick, and it’s here where you can also get a closer view from land thanks to the array of powerful telescopes in the centre and the remote-controlled cameras installed all over the rock outcrop. 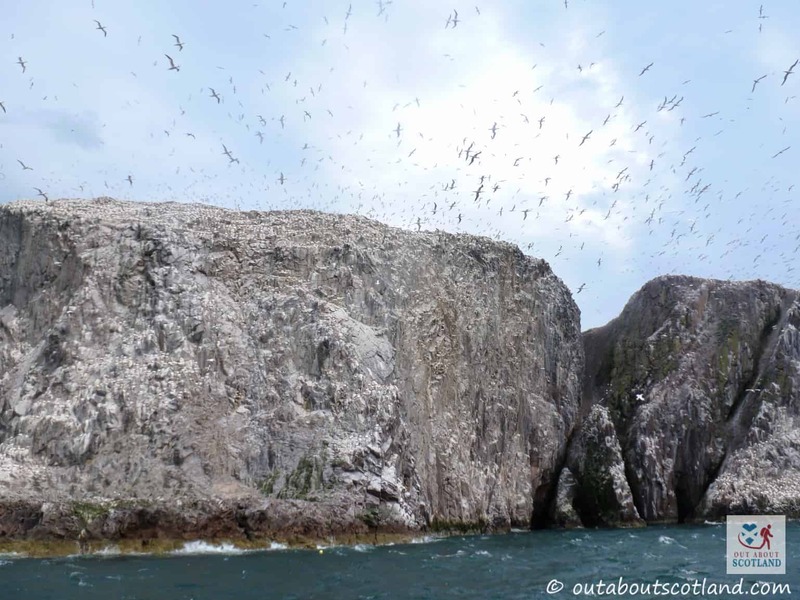 The boat trip is definitely recommended as it’s probably the best way to appreciate both the size of the Bass Rock and the number of birds that live there. 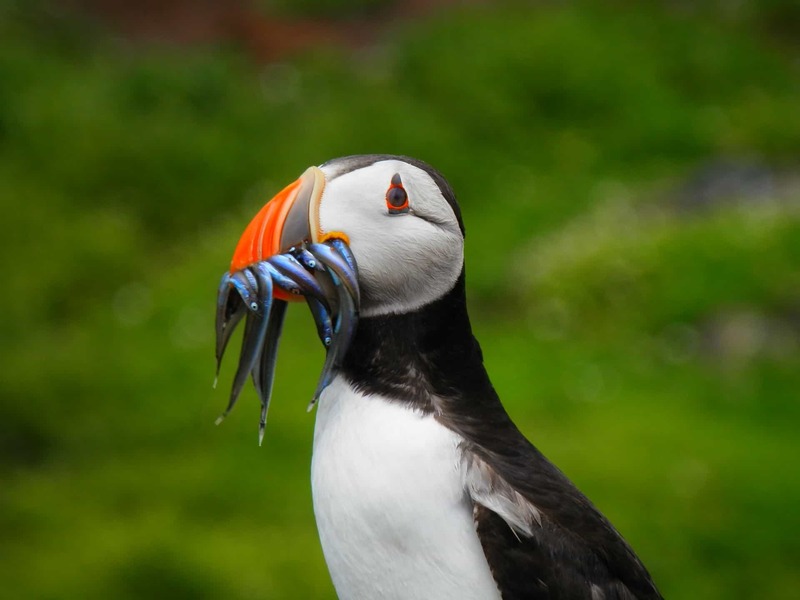 The Seabird Centre has exclusive landing rights and it’s not possible to land on the island without booking through the centre first, but for a reasonable price I definitely recommend taking a sailing tour around this unique natural wonder in the middle of the Firth of Forth. Departing from the Scottish Seabird Centre the tour boat sails out into the Firth of Forth for a return trip that takes around two hours which is fantastic fun when the sail is calm but not so much when the weather closes in and the sea gets a bit choppy. If you’re looking for something a bit more adventurous you can take an inflatable RIB out which is much faster but less relaxing (and much, much wetter…). I’ve yet to experience landing on this remote island but I have it on good authority that it’s an incredible experience, although very expensive, so maybe it’s something that should be saved for an extra-special occasion separate from the boat tours. The rock is uninhabited today but in the past it was settled by an early Christian hermit and was the site of a much later castle, and at one time it was even used as a prison. These days it’s left alone for nature to make use of thanks to its current owner Sir Hew Hamilton-Dalrymple whose family acquired it in 1706 from the Lauder family who had owned it for the previous six centuries. 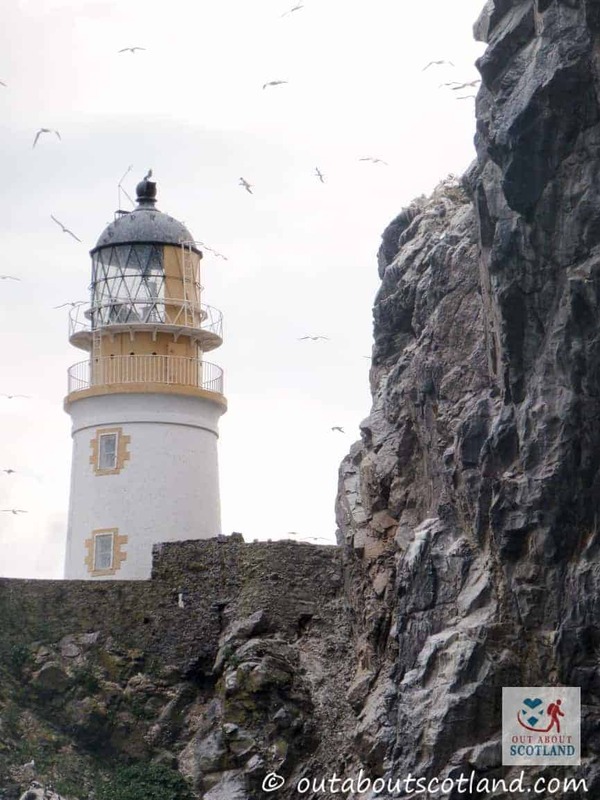 Although the Bass Rock is now free from human meddling there are a couple of man-made structures that have been left on it – namely the lighthouse that was built in 1902 and the remains of an ancient chapel. 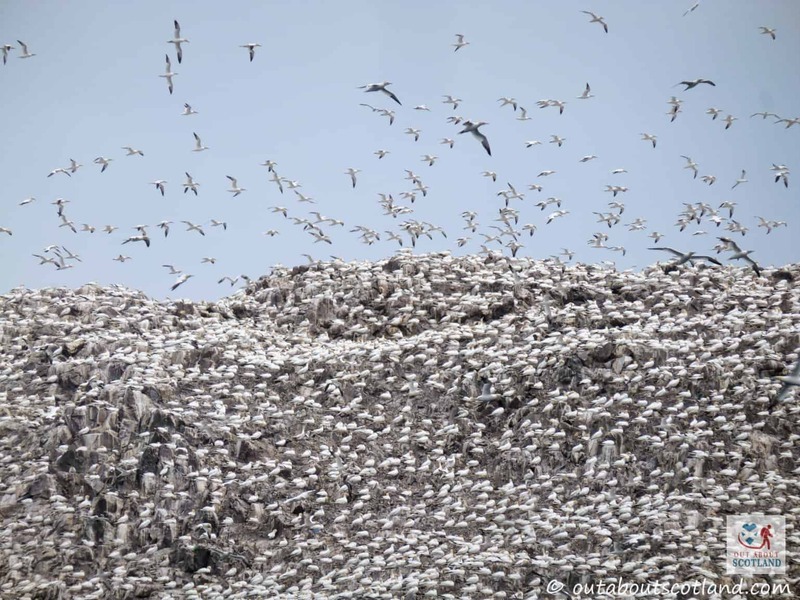 There are also a few cameras that have been installed to keep watch on the birds but other than that the rock has been given back to nature, which is exactly how it should be. 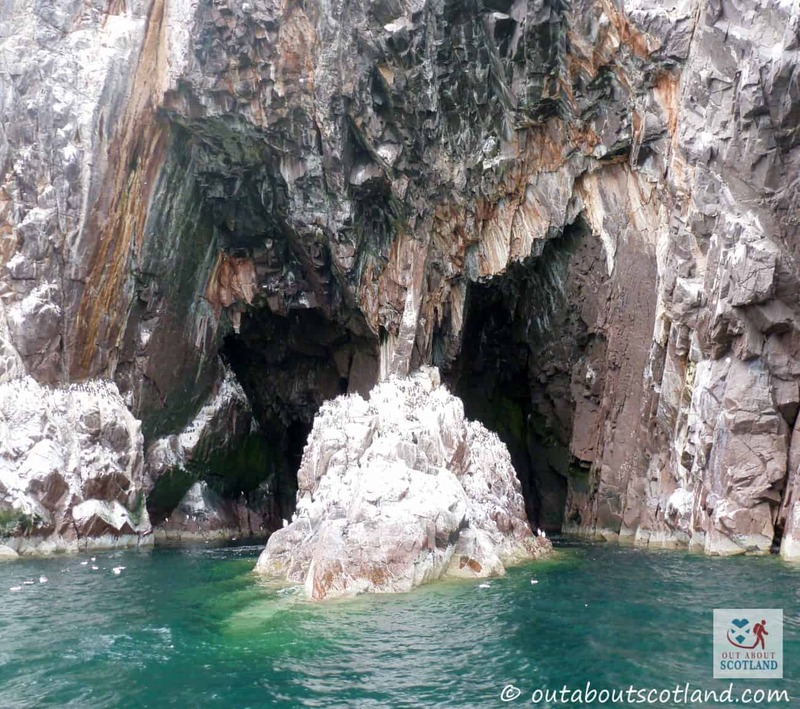 Head to the Scottish Seabird Centre in North Berwick to book boat trips to around the rock. 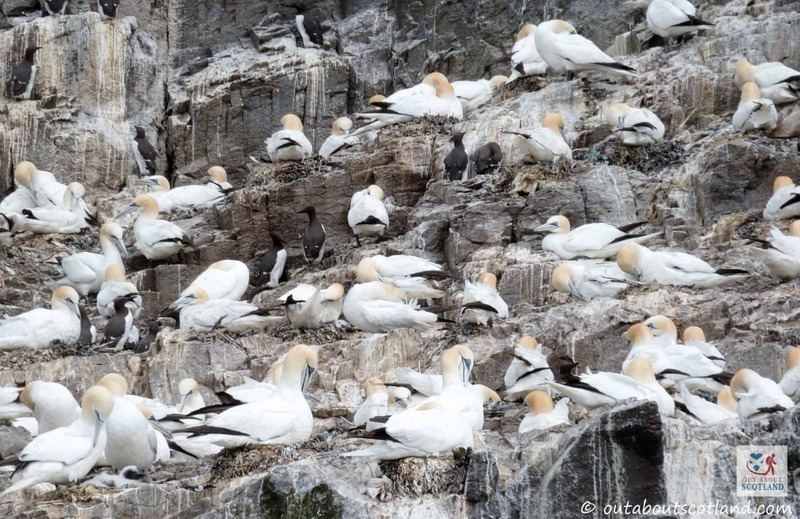 Phone the Scottish Seabird Centre for the latest prices and boat departure times. 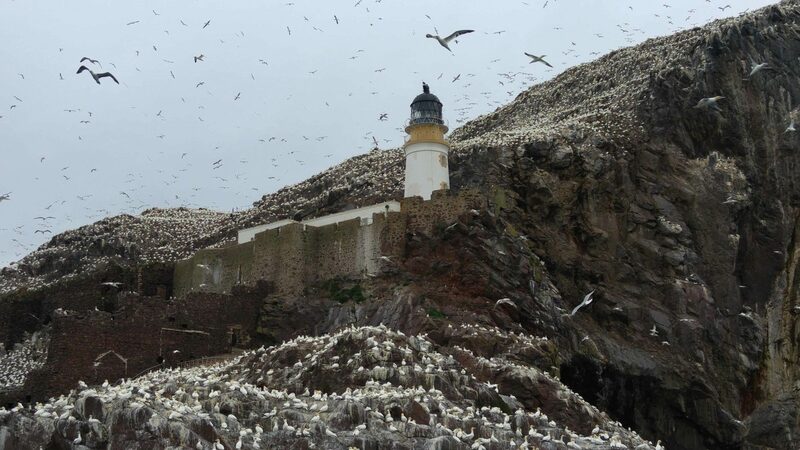 Note: These facilities are at the Scottish Seabird Centre departure point only.